ATLANTA, Jan. 2, 2019 /PRNewswire/ -- Southern Company Chairman, President and CEO Thomas A. Fanning on Dec. 19 announced changes to the company's management, effective Jan. 1, 2019. Beth Reese will become executive vice president of Southern Company Services (SCS) Shared Services, reporting to Stan Connally, executive vice president, operations. In this role, Reese will have responsibilities for SCS and Operations Budget and Reporting, SCS Facilities and Fleet Services, and System Air. She also will serve on both the Operations Management Council and the Accounting, Finance and Treasury (AFT) Management Council. Dan Tucker will succeed Reese as executive vice president and chief financial officer at Southern Company Gas, reporting to Kim Greene, chairman, president and CEO, Southern Company Gas. In this role, Tucker will direct finance, accounting, business planning and risk management functions for all Southern Company Gas businesses and serve on the Southern Company Gas Management Council. 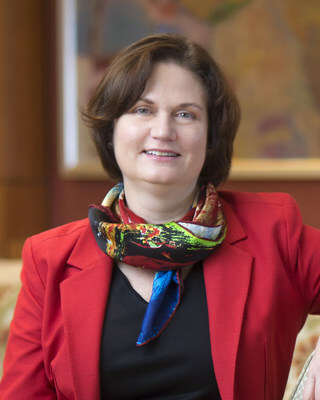 Robin Boren will succeed Tucker as senior vice president of finance and treasurer for Southern Company reporting to Drew Evans, CFO, Southern Company. In this role, Boren will lead the Southern Company's investor relations, corporate finance, business assurance and risk management groups. "These organizational changes reflect Southern Company's commitment to the leadership development of our employees in support of our long-term business objectives," said Fanning. "We strive to have the best executive team at the top that will continue to lead our company to provide clean, safe, reliable and affordable energy to those we serve." Reese served as Southern Company Gas' executive vice president and chief financial officer since 2015. She previously served as senior vice president of Southern Company Gas and president of Nicor Gas in Illinois, controller and vice president over several of the company's functional areas, including operational planning and analysis, business innovation, customer service and finance. 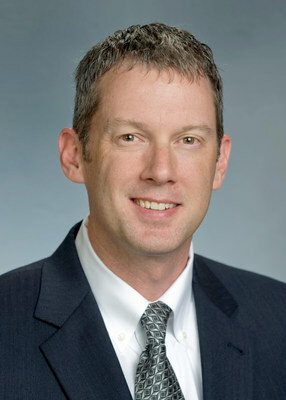 Prior to joining Southern Company Gas in 2000, Reese was a senior manager for Deloitte LLP. She received her bachelor's degree from St. Andrews Presbyterian College and her master's degree in accounting from University of Georgia. Tucker most recently served as senior vice president of finance and treasurer for Southern Company. He has been with Southern Company for more than 20 years in various roles within the finance organization, including investor relations, financial planning and accounting. In 2012, he was named vice president of investor relations and financial planning. Tucker earned a bachelor's degree from Kennesaw State University with a double major in accounting and finance. Boren has served as chief financial officer and treasurer for Gulf Power since Oct. 2017 after serving as president of Pivotal Home Solutions since 2012. She joined then-AGL Resources in 2009 as assistant treasurer. 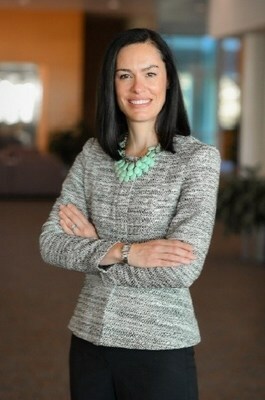 Prior to joining AGL, Boren served as director of capital markets origination for SunTrust Robinson Humphrey Inc. She earned her MBA from the Wharton School at the University of Pennsylvania and received a bachelor's degree in Accounting and Business Administration from Presbyterian College. Southern Company (NYSE: SO) is nationally recognized as a leading energy company, with 46,000 megawatts of generating capacity and 1,500 billion cubic feet of combined natural gas consumption and throughput volume serving 9 million customers through its subsidiaries as of December 31, 2017. We operate nearly 200,000 miles of electric transmission and distribution lines and more than 80,000 miles of natural gas pipeline as of December 31, 2017. The company provides clean, safe, reliable and affordable energy through electric operating companies in three states, natural gas distribution companies in four states, a competitive generation company serving wholesale customers in 11 states across America and a nationally recognized provider of customized energy solutions, as well as fiber optics and wireless communications. Southern Company brands are known for excellent customer service, high reliability and affordable prices that are below the national average. Through an industry-leading commitment to innovation, Southern Company and its subsidiaries are creating new products and services for the benefit of customers. We are building the future of energy by developing the full portfolio of energy resources, including carbon-free nuclear, advanced carbon capture technologies, natural gas, renewables, energy efficiency and storage technology. Southern Company has been named by the U.S. Department of Defense and G.I. Jobs magazine as a top military employer, recognized among the Top 50 Companies for Diversity and the No. 1 Company for Progress by DiversityInc and designated as one of America's Best Employers by Forbes magazine. Visit our website at www.southerncompany.com.